Sony Ericsson about to buy HTC? Reports of a deal where Sony Ericsson takes over High Tech Computer (better known as HTC) are bubbling around at the moment, and don’t seem that ridiculous once considered. HTC has cancelled a number of meetings without notice or explanation, which may not seem like much, but the company has only been operating for around 18 months so would be primed for a merger or takeover. Adding fuel to the fire is the fact SE has selected HTC for its Xperia X1 model, a Windows-running smart phone. 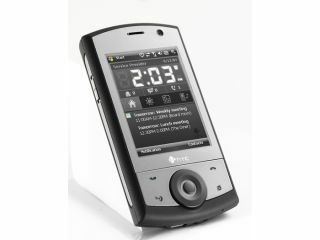 The mobile manufacturer has previously stuck with Symbian, so the move is significant. HTC has dismissed the rumours as being without substance, but earlier in the year CEO Peter Chou was warm to the idea of a company of SE’s ilk becoming partners with the Taiwanese firm. HTC is also featuring prominently in the mobile phone world for its possible release of the 'Dream', rumoured to be the first phone to run Google’s Android platform. Read the original article here (TechRadar has even, through the power of Google, translated it for you... aren't we nice? ).